of Halkidiki on a boat trip! Local insights for a lifetime experience! 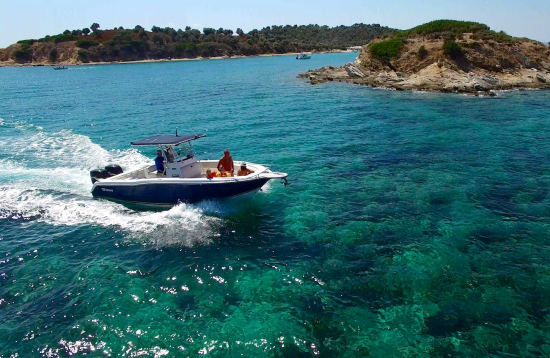 This boat trip takes you to the stunning Sithonia peninsula. 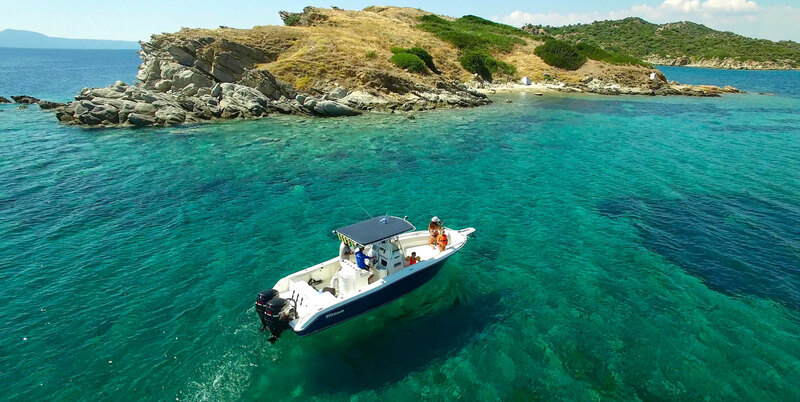 Moreover, you will discover the amazing crystal clear blue waters of Vourvourou. 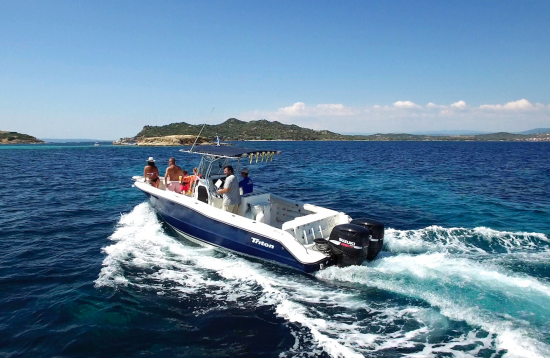 You will cruise around Diaporos which is the biggest of the nine islands in the bay of Vourvourou. This best-seller day cruise takes you to the astonishing island of Ammouliani, as well as to the Donkey islands. Start your day swimming at remote beaches and small coves. Our guides take you to the best swimming and snorkelling spots. This boat trip takes you further South to the Mount Athos Peninsula. Above all, Athos is a World Heritage Site and self-governed state in the Hellenic Republic. Moreover, this tour stops at Ammouliani and Drenia islands. Kayaking is the most classic water sport and also the funniest way to explore with company! This is why we have high quality Sit-On-Top Kayaks and experienced instructors to help you explore the surroundings. Have you tried sailing before? Sailing is a great initiation to watersports. We provide the best equipment and great instructors who are here to assist you whether you are a beginner or an experienced sailor. Explore the astonishing Halkidiki peninsula, with a total body work out in process! Stand Up Paddling is suitable for everyone regardless his experience so take your friends or family and paddle together! Explore the magnificent landscapes of Halkidiki with a kayak! Relax, you are on holidays, let us take care of your wishes and needs. Chalkidiki is best seen from the water. 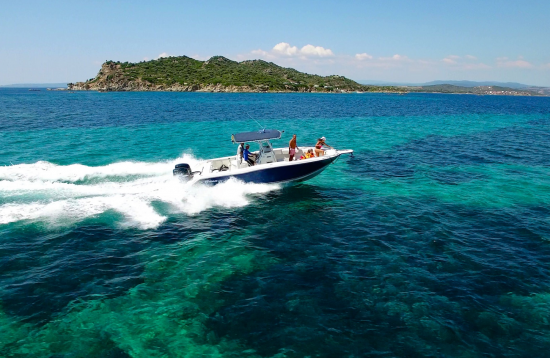 Discover amazing crystal water and small pieces of heaven with a boat. Rent your motorboat with our easy online booking service. 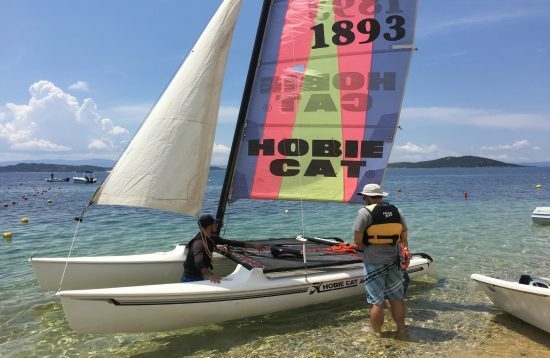 Want to learn how to sail during your holidays? Our exclusive sailing courses will help you sail on your own by the end of your holidays! Visit unique inaccessible beaches, on a thrilling sea kayaking ride at various parts of the peninsula, in distinct yet amazing variations! Learn to water ski or improve your skills during your holidays. Friendly instructors and warm flat water make it a great experience for the whole family. Always wanted to give windsurfing a try but never knew where to start? Either a beginner or not we have the right equipment for you. 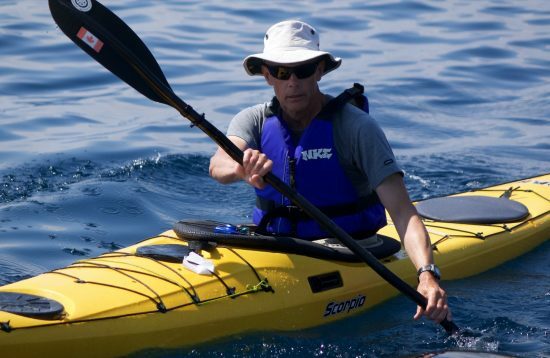 Our friendly staff will cover safety, conditions, proper stance, maneuvering and of course paddling technique. Our goal is for you to be able to enjoy the beautiful blue water. With high quality coaching centered around your level of riding there is no better place to enjoy wake boarding. Whether it's a high climb, or an incredible stroll across a stunning landscape, exploretheoutside.com has the ideal hiking and trekking options for you. Mountain Biking is fun for all types of groups and for all of the family. Hire a bike with us and explore the amazing landscaped of Halkidiki. Some of the companies that provide us with the best equipment around.